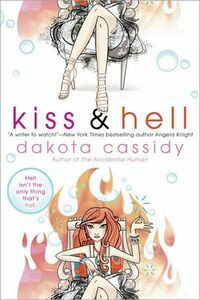 Enter to win Dakota Cassidy's KISS & HELL....Ah, you know you wanna! Hell’s not the only thing that’s hot in the sinful new novel from Dakota Cassidy. Enter for a chance to win your own copy. Delaney Markham doesn’t just see dead people, she hears them too. And FYI—communicating with tortured souls all day can really wreak havoc on your love life. Sans boyfriend, Delaney makes the best of her gift by holding séances to make ends meet—that is until one incredibly annoying ghost just won’t go away. Besides being sinfully hot—in a college professor sort of way—all signs point to Clyde Atwell being much more than the ordinary spirit. In fact, he’s a newbie demon whose first assignment is to take Delaney back down to hell with him. Yeah, like that’s going to happen on the first date. You will be added to the Dakota Cassidy mailing list to receive occasional notices of interest. 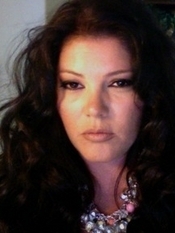 You'll also be added to the Fresh Fiction News. Unsubscribe options are available with each issue.